Representing clients throughout Florida from our offices in Boca Raton and Dadeland, we at the law office of Gold & Gold, P.A., provide experienced, client-focused representation to individuals and families facing a variety of personal injury issues. Whether you or a loved one has been injured in an automobile accident, suffered the pain of medical malpractice or nursing home abuse, or perhaps require counsel regarding product or premises liability, we can help. As a legal team handling a wide variety of personal injury cases, we understand the physical, emotional and financial trauma that many of our clients are going through. With a range of diverse talents, experiences and backgrounds, our lawyers and support team work together to obtain the best possible results on our client's behalf. By emphasizing dedication, discretion, preparation and professional service, we set ourselves apart from the competition - our results speak for themselves. At Gold & Gold, P.A., we believe in our clients. As a family law firm of trial attorneys, we understand the importance of building trusting relationships with our clients when heading into the courtroom. Founding partner, David H. Gold, possesses more than 30 years of experience litigating cases and is known throughout the legal community for his commitment to his clients. AV rated by Martindale-Hubbell and recognized by his peers and numerous other publication, including Florida Super Lawyers, Mr. Gold and his son Philip A. Gold, form the nucleus of our team of professionals. The attorney you choose makes a difference. Trust your case to our firm. We never forget that real people suffering through real problems are at the heart of each case we take. Call our Boca Raton law office by dialing 866-418-3190 and schedule a consultation to learn how we at Gold & Gold, P.A., can put our skill and dedication to work protecting your interests. David H. Gold has handled, researched and litigated medical malpractice claims for over 20 years, and has made this the cornerstone of his career. A wrongful death can result from a variety of circumstances, ranging from an automobile accident to medical malpractice, to even a slip and fall accident. Any product may be defective causing serious injury or death. Our attorneys know how to integrate principles of engineering and mechanics to present a persuasive product liability claim. 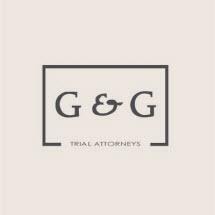 Our attorneys are skilled in handling automobile, motorcycle, trucking and even bicycle accidents resulting in injury or death. Our attorneys are skilled and experienced in handling a wide variety of personal injury cases.